It has been one hell of a week or two, particularly in the southeastern part of Nigeria. Prior to this time, the Indigenous People of Biafra, (IPOB), had assumed such a larger than life image that it could order a sit-at-home strike and people would comply strictly. The jury is still out concerning the reason why the order recorded that kind of total compliance. There have been debates about Nigerians loving public holidays and that the order coincided with another public holiday and that people actually complied out of fear of attack, if they were found on the road on the said day. The one I found most ludicrous is the argument about Nigerians loving public holidays. May be they were right about civil servants who were hardly committed to their jobs, since there was hardly any demand for them, but I also know that majority of businesses in the South East are private sector concerns and this is the sector that hates public holidays with a passion. In essence, therefore, there must be something else that made the people comply with the sit-at-home order. Fast forward to mid-September, I read that the army was launching what it codenamed “Operation Python Dance 2” in the South East and part of the South-South. I was worried as my understanding of the situation was that this operation may trigger hostilities with IPOB. I reasoned that others would see it the same way and warn them to steer clear of the Python even if for some strange reasons, it is a dancing one. But somehow, I was wrong. Our people did not read the handwriting on the wall. They were looking at other targets meanwhile, it was about them. So, for that reason, they were unprepared and were caught napping. Some of the governors who I had thought had agreed with the President on the operation were as shocked as I was. They didn’t seem to be aware! They heard it the same way, we lesser mortals, heard it. But, they are known as the Chief Security Officers of the States in question. May be this was not secure enough to require their attention. The first “dance” took place around Kanu’s house. It was widely reported in the media that the military shot rather indiscriminately at civilians who could only retaliate by throwing stones and in the process, several people, including military men, was injured. The military promptly denied these reports, explaining that they were merely test driving their armored truck, which had just come back from repairs. While we were digesting that, it became known that even more serious attacks were launched on unarmed civilians between the towns of Umuahia and Aba. Very chilling pictures and reports of the attacks were being circulated daily in the social media. I must confess that I could not withstand the sight of some of the gory pictures and could not continue to watch them. There were subsequent reports about the military declaring IPOB, a terrorist organization and warning that anyone with the Biafra flag or insignia was going to be “dealt with”. The Governors of the South Eastern States were to emerge from their Governor’s forum meeting to proscribe IPOB and asked aggrieved people to articulate their issues and forward through their representatives in the legislature. In the first place, as a believer in the principles of democracy, fundamental human rights and the sanctity of life, I am of the opinion that rolling out the army under any guise to face unarmed citizens was totally uncalled for and cannot be justified in the circumstance. We may never know the actual number of casualties since some of the corpses may never be recovered, but the reports and images were horrible. The primary job of the military has to do with waging war with enemies of the state, and ward off external aggression. It is only in situations of a violent breakdown of law and order which the police is unable to contain that the attention of the military is considered an option. The situation in the South East did not look anything like that. It is also important to state that like the carpenter whose solution to any problem is a nail and hammer, so also is the military, who thinks first of the gun and bullets whenever it is confronted with any challenge. Under Obasanjo, the military was sent ostensibly to restore peace and order in Odi, a little town in Bayelsa State. By the time the dust settled, except at church, there was nothing standing in the whole town. We should have learnt something from the Odi experience. We had argued in this column that some of the crises, including insurgency and separatist movements were traceable to poor leadership and hunger. The number of young people that respond to Nnamdi Kanu’s call can only be explained by the fact that they cannot see a future in this country. Their description of Nigeria is anything but dignifying. Wishing those away or approaching them with brute force can only drive them underground. If that is what we intend to achieve, then we have recorded success. I, however, don’t agree that the solution is to muscle the young agitators and send them underground. And that was the reason I heaved a sigh of relief when the governors of the South east started to engage with them before Python Dance. I thought it was the right thing to do, rather than the hitherto ineffective strategy of ignoring them. The “ignore-them-strategy” lasted too long. It is instructive that Nnamdi Kanu’s base was his father’s residence and palace in Afaraukwu Ibeku, Umuahia. This place is a stone throw from the seat of government of Abia State. I had thought that the government of Abia State should have on its own, opened a dialogue with the leader of IPOB in the spirit of good neighborliness, but alas, nothing was done. Having had the first meeting which, according to the elder statesman Prof. Ben Nwabueze, was successful, I had expected that subsequent meetings would consolidate on the gains of that first meeting. Sadly, subsequent meetings did not hold as brute force was now introduced instead. This left me with a lot of questions. Was the Federal government actually aware and being briefed about the meetings with the group? Were the governors aware that Operation “Python Dance” was in the works? If they knew, what was their response? 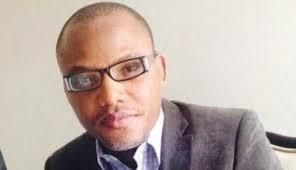 Could they have stopped it, if indeed they considered the engagements with Kanu and his group, serious? After the killings, the governors had another meeting where they proscribed IPOB. Now, I do not know how decisions are made by the governor’s forum, but this particular decision left me very confused. I don’t want to go into the legal technicality of whether the Governor’s Forum which in my understanding, is a forum for peer review, has powers to make that kind of pronouncement or not. I was wondering, if the governors considered that just a few days before, they were negotiating with the leadership of the body that they had just outlawed? In fact, negotiations were still ongoing as the next scheduled meeting was September 18. What is it that had changed to make these governors do a summersault the way they did? Could having been attacked by the army be a reason to call off a dialogue and declare the group illegal? In other words, when did they become illegal? Now to IPOB, my position is that in a participatory democracy, agitations are normal to the extent that they are non-violent and in accordance with the laws of the land. Listening to some arguments, people have alleged that Nnamdi Kanu set up an army and a Biafran National guard. I must also say that I saw some of the pictures on the social media. What I did not see was that they were armed even with Clubs and sticks! In my own estimation, I thought this was just a joke. An army that is not armed is but a group of people standing in a line. Once you remove arms from an army, they become ordinary people. In any case, the government has its own ways of getting information and if it had information about arms, I would have expected the suspects to be invited for a chat either by the police or other security agencies. That this did not happen points to only one fact, that they were not armed. The group had also maintained its stand against violent confrontation. Having said that I also have some issues with the whole thing about secession of Biafra. I had argued in the past that history is replete with situations where people called for referendum and lost. The most recent was Brexit which led to the breakaway of Britain from European Union. This referendum did not only ensure the unfortunate breakup of the EU, but the early resignation of Prime Minister David Cameron, who, when he set up a date for the referendum was not only confident that the ‘Nos’ would win, but that remaining in the EU was good for Britain. I had also drawn attention to the two referenda held in Quebec region of Canada that had been seeking self-determination for a long time. The proponents kept losing the votes and the people voting were those who secession should ostensibly benefit. Clearly, they didn’t want to secede. It is therefore important to note that the fact that you seek self-determination does not mean that a referendum for it would succeed. Secondly, granted that the Igbos have been given the shortest end of the stick in several decades, (a matter for another day), I have been an advocate of alternative strategies to achieve equity, justice and fairness in our nation. And I believe that it is possible to achieve these in a restructured and united Nigeria. I also firmly believe that a larger and more equitable Nigeria is better than a balkanized set of small countries. But I am not one of those people that believe that there is anything that is not negotiable. It is on this basis that I would again call for the discussion of the terms along which we can peacefully live together as one nation. It is also my considered view that the problems that we are grappling with today, would not go away, if Biafra, Oduduwa or Arewa were to become sovereign nations. Why do I say so? If you take Biafra for instance, the problems of ethnicity will not go away, even if the language is the same. There is no guarantee that the Abia man would not discriminate against the Imo man. Just like the Enugu man and the Ebonyi man may be at each other’s throat when there is no perceived external enemy. After all, after the creation of states in the South east, some states dismissed civil servants who were then from other states as a result of the creation. That problem lingers on till date. I have also been a victim of primordial prejudice and discrimination even in the state from where I come. In the run up to the 2015 general election, I was attacked and vilified by a set of miscreants with the active support of the government of the day, insisting that because I didn’t come from a particular section of the state, I should not present myself for election. When the electorate ignored them and was set to vote me, these miscreants and charlatans placed caskets in public places in Aba, threatening voters with death if they voted for me on Election Day. This devilish act was also supported by some otherwise “respectable” leaders and elders in the state. So the issue of discrimination cannot just go away because new countries have been created. Enlightenment and exposure help to curb bigotry and discrimination. Still on IPOB, there is a saying that charity begins at home. A good place to start the agitation is the states in the South East. Other than Anambra, there have been consistent cases of bad governance and brazen stealing of public funds by thieving leaders in the zone. I single out Anambra because it was lucky to have an Ngige who dismantled godfatherism and Peter Obi who worked very hard for the people and now Willie Obiano who combined Strategy with brilliance and skills to make the state a theatre of development. Meanwhile, Anambra has no oil and no derivation. The state of other parts of the South East is marked by decay, de-industrialisation, failing infrastructure, squalor, insecurity and debt. It is, therefore, my opinion that we should hold our leaders more accountable and actually channel our agitation to how the resources that have accrued to the states have been used without losing sight of the bigger picture. They should also show leadership in moments of crises. To the Federal government I will like to suggest that it is time to begin a process of healing and easing of tension in the polity. We should resist the temptation of using the army to quell every little protest. If we must remain a democracy, we must increase our tolerance level of alternative views and actions. It must be a conscious effort made to reduce the conflicts in the system. The government should promote dialogue and intelligent debates in dealing with disagreements. The government should take a look at its prisons and release citizens that are neither criminals nor convicted inmates. In this list would be members and leaders of IPOB and other agitators who have been detained in the last two years, including the ones recently arrested in Abia State. The government should also release religious prisoners including El Zakzaky and his followers and others who have been incarcerated for holding different views. The government should not spread the army too thin and open many flanks of war and operations. The government has enough in the fight against Boko Haram and corruption. I have no doubt that if the government does these, the tension in the land will be considerably reduced and the government will focus on reviving and diversifying the economy, creating jobs, and fixing infrastructure. This in itself will reduce agitations and productively engage our youths who will cease to be idle. It will also solve the hunger problem which has spiked in the recent times. Our true enemies remain hunger, corruption and docility, not our citizens.